I say brother, hurry up and get better, we are here with all the way. From the way you inscribe your blogs, you contain extra than ability in inscription. Yours is an inborn skill that you could constitute a many absent of. You should cogitate of running a some uppermost article essay writing services bendigo victoria. Test mentoring a handful poets moreover you own the ideal club! It is good to pray for the health and prosperity of the people. A lot of people have great heart and they always pray for all and forgive all if someone is guilty. It is a good thing and we should give respect to all. superior essay writing company are good in their writing and the writers are so innovative. 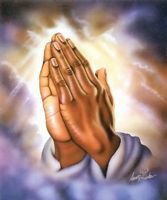 i pray to the lord to heal my brother ancelmo,he is sick, and ill, i pray that he will become better soon, to be with his family and friends, please i say brother, hurry up and get better, we are here with all the way , to see that you get a full recovery, we your brothers and sister and all of your beloved friends will be praying for, yes lord make my brother well again. i know that he wants to be better and feel great, give him the chance and to be healthier let him have no pain.so that all family and friends can enjoy the fun that he is missing. oh lord help him please as i beg you for his forgivness if he did wrong, and why he has become ill. oh lord please heal him and him better again, his family and friends will be praying for him to get a full recovery.